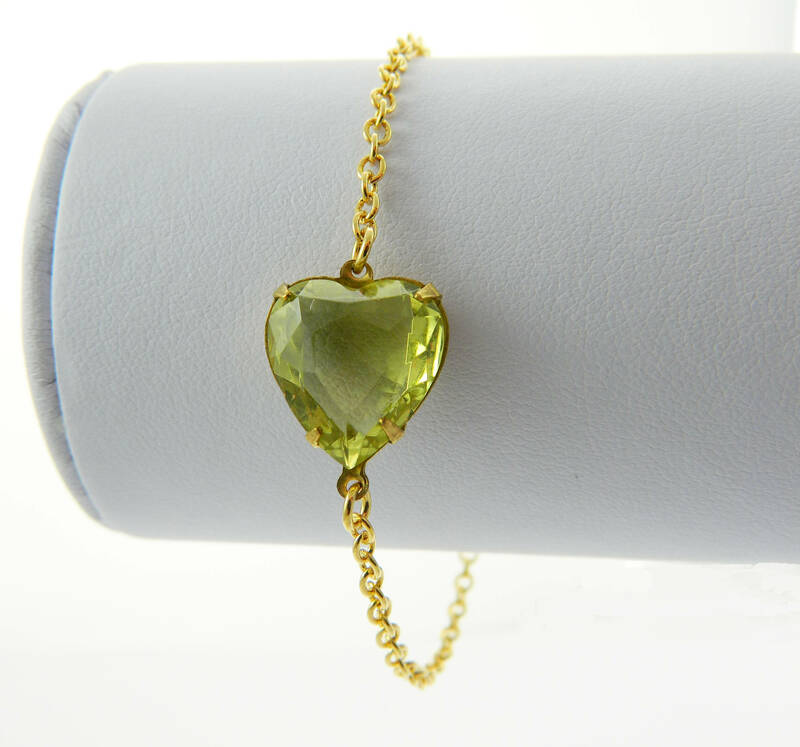 Vintage Yellow Crystal Heart Bracelet. 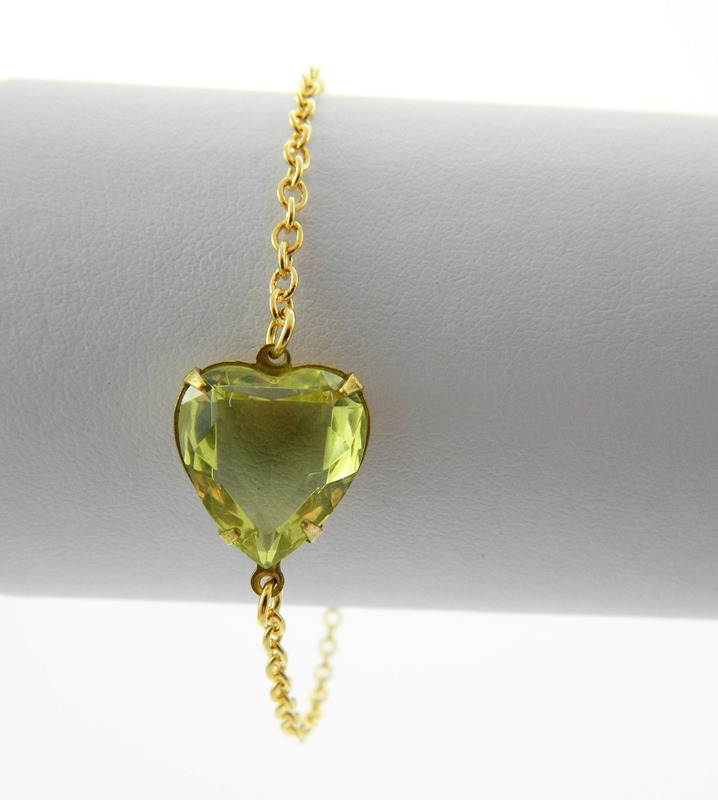 Vintage Crystal Heart Connector Charm paired with new Gold Plated chain. New Old Stock Charm, Never worn. Beautiful Lemon Lime Color Crystal. 6.5” length with 1" extension chain and lobster claw closure.